If you would like a worksheet to help you remember the natural notes in first position, click here. 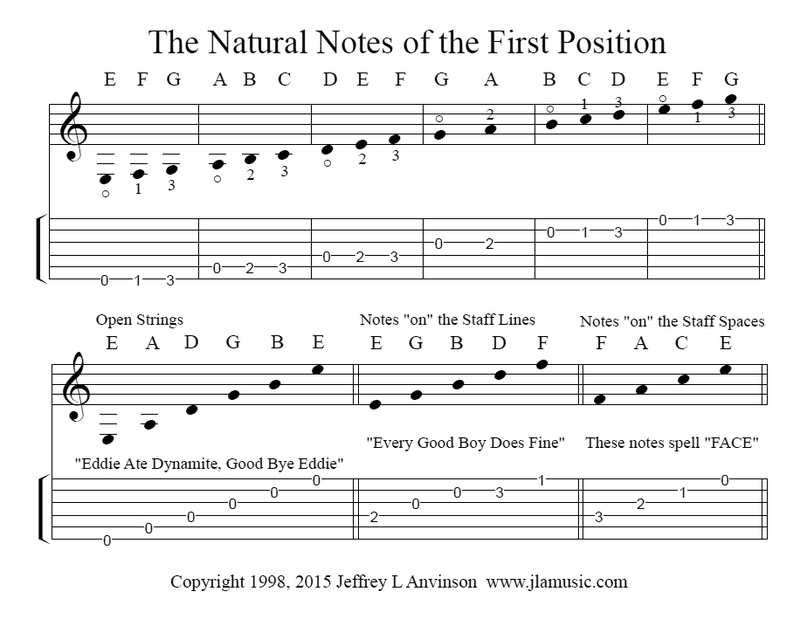 Once you print it out, fill in the tablature for each note. You might even fill in the letter names too.